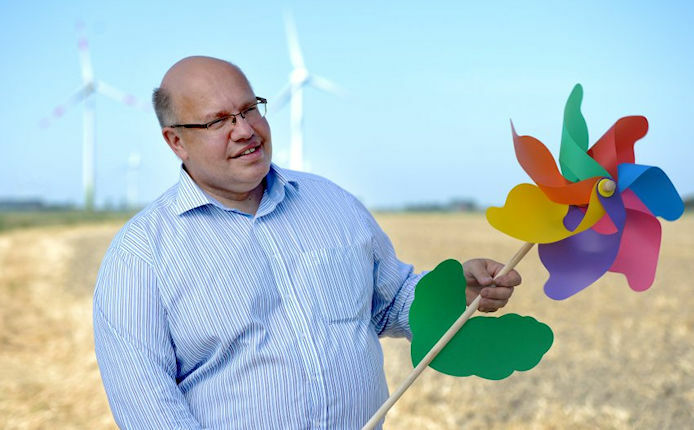 Environment Minister Peter Altmaier's predecessor once claimed that switching Germany to renewable energy wasn't going to cost citizens more than one scoop of ice cream. Today Altmaier admits consumers are paying enough to "eat everything on the ice cream menu." "Former Environment Minister Jürgen Tritten of the Green Party once claimed that switching Germany to renewable energy wasn't going to cost citizens more than one scoop of ice cream. Today his successor Altmaier admits consumers are paying enough to “eat everything on the ice cream menu”." "For society as a whole, the costs have reached levels comparable only to the euro-zone bailouts. This year, German consumers will be forced to pay €20 billion ($26 billion) for electricity from solar, wind and biogas plants -- electricity with a market price of just over €3 billion. Even the figure of €20 billion is disputable if you include all the unintended costs and collateral damage associated with the project. Solar panels and wind turbines at times generate huge amounts of electricity, and sometimes none at all. Depending on the weather and the time of day, the country can face absurd states of energy surplus or deficit." "On Thursday, a government-sanctioned commission plans to submit a special report called "Competition in Times of the Energy Transition." The report is sharply critical, arguing that Germany's current system actually rewards the most inefficient plants, doesn't contribute to protecting the climate, jeopardizes the energy supply and puts the poor at a disadvantage." "As fascinating as the plan is for engineers, economically it's a potential disaster. Experts believe that because of the more challenging conditions, the power offshore wind turbines generate will be consistently two to three times as expensive as on land. Although the wind blows more consistently at sea, this comes far from offsetting the higher costs. " "If the government sticks to its plans, the price of electricity will literally explode in the coming years. According to a current study for the federal government, electricity will cost up to 40 cents a kilowatt-hour by 2020".